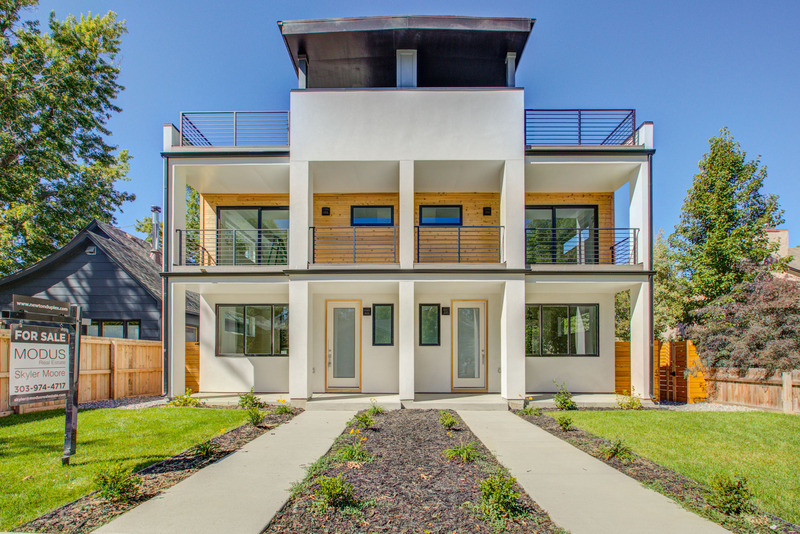 Beautiful, modern new construction duplex in the hot Berkeley neighborhood. Quite, established neighborhood with tree lined streets. Quick access to interstate systems, Highland Square area, Tennyson Street, Sunnyside area and LoHi. This is the definition of location, location, location! This home features; covered rooftop deck, walk out deck off master bedroom, two walk in closets, Anderson 100 series windows, skip trowel finish, custom built cabinets and vanities, quartz marble countertops, oak hardwood floors, Carrier heating and cooling systems, 8' doors, 2 car detached garage with storage above. PLEASE READ! Newtonduplex.Com REQUIRES CONSIDERATION FOR AND AS A CONDITION OF ALLOWING YOU ACCESS. ALL PERSONS UNDER THE AGE OF 18 ARE DENIED ACCESS TO Newtonduplex.Com. IF YOU ARE UNDER 18 YEARS OF AGE, IT IS UNLAWFUL FOR YOU TO VISIT, READ, OR INTERACT WITH Newtonduplex.Com OR ITS CONTENTS IN ANY MANNER. Newtonduplex.Com SPECIFICALLY DENIES ACCESS TO ANY INDIVIDUAL THAT IS COVERED BY THE CHILD ONLINE PRIVACY ACT (COPA) OF 1998. Contact Email: info@modusrealestate.com All Rights Reserved. We understand that privacy online is important to users of our Site, especially when conducting business. This statement governs our privacy policies with respect to those users of the Site (“Visitors”) who visit without transacting business and Visitors who register to transact business on the Site and make use of the various services offered by MODUS Real Estate (collectively, “Services”) (“Authorized Customers”). Personally Identifiable Information collected by MODUS Real Estate is securely stored and is not accessible to third parties or employees of MODUS Real Estate except for use as indicated above. Visitors and Authorized Customers may opt out of receiving unsolicited information from or being contacted by us and/or our vendors and affiliated agencies by responding to emails as instructed, or by contacting us at 2079 W 44th Ave Denver, CO 80211. How does MODUS Real Estate use login information? MODUS Real Estate uses login information, including, but not limited to, IP addresses, ISPs, and browser types, to analyze trends, administer the Site, track a user’s movement and use, and gather broad demographic information. Visitors and Authorized Customers may contact us to update Personally Identifiable Information about them or to correct any inaccuracies by emailing us at info@modusrealestate.com. Newtonduplex.Com contains links to other web sites. Please note that when you click on one of these links, you are moving to another web site. We encourage you to read the privacy statements of these linked sites as their privacy policies may differ from ours. Do you have a good faith belief that your intellectual property rights have been violated by MODUS Real Estate? Do you have a good faith belief that a third party may have uploaded content to Newtonduplex.Com? 1. Please describe the copyrighted material, work or other intellectual property (collectively "Material") which you believe is being infringed upon, and where on the Newtonduplex.Com website the Material is located. 2. Your contact information (name, telephone number, e-mail address, or other detail where MODUS Real Estate* or the alleged infringing party can make direct contact with you). Upon receipt of the information above MODUS Real Estate will promptly, but may need additional information to fully address the notice you have provided to it and before it removes any Material alleged to be infringing. Your contact information given in the notice requested may be provided to the alleged infringing party if it is not MODUS Real Estate so an appropriate proper response can be sent. * The alleged infringing party may be someone other than MODUS Real Estate.